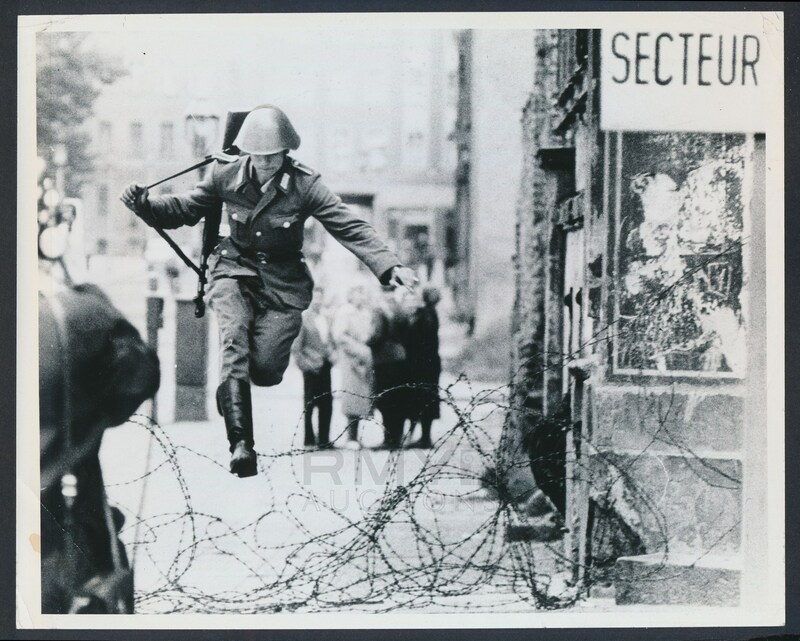 One of the most famous images ever taken, this moment in time forever frozen shows East German soldier Conrad Schumann as he abandons his post and jumps over a section of the Berlin Wall that had not been completed and into West Germany and freedom! Taken by photographer Peter Leibing, this has been reproduced a million times and statues have been made from its image. 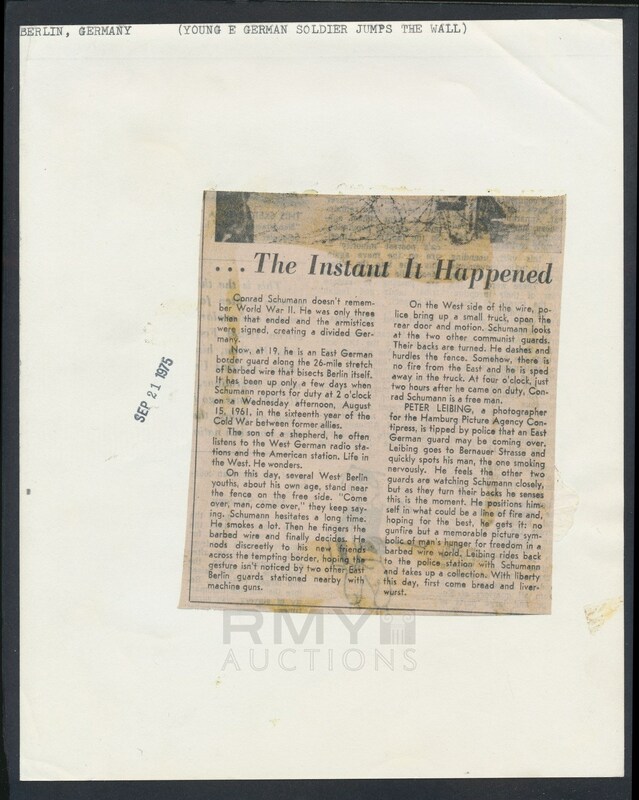 This is a 1961 photograph that was re-struck in 1975 but is not a wire photo like most examples that are offered!